Every week we will be having a ‘Street bike’ of the week section on our website and will be included in future news letters! First up, and to get the ball rolling is this awesome looking Matt Black NS Capital. Is you bike something special? Or would you just like to show it off? We are seeking the best bikes to be featured on StreetRide.co.uk. Everyone loves looking at a great bikes, and if you are proud of your street bike, please share it with us! Please send all pictures to info@streetride.co.uk or alternatively upload them on to our Facebook page here. hey how funny, the 26″ ns is my old bike. 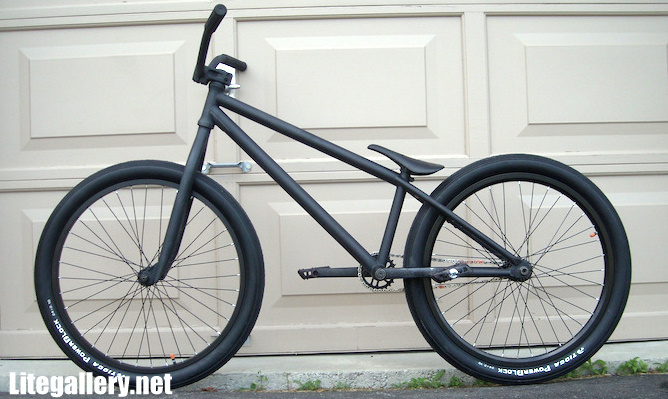 thats a 2012 suburban frame (powerdercoated in flat black) with a pargyle fork.